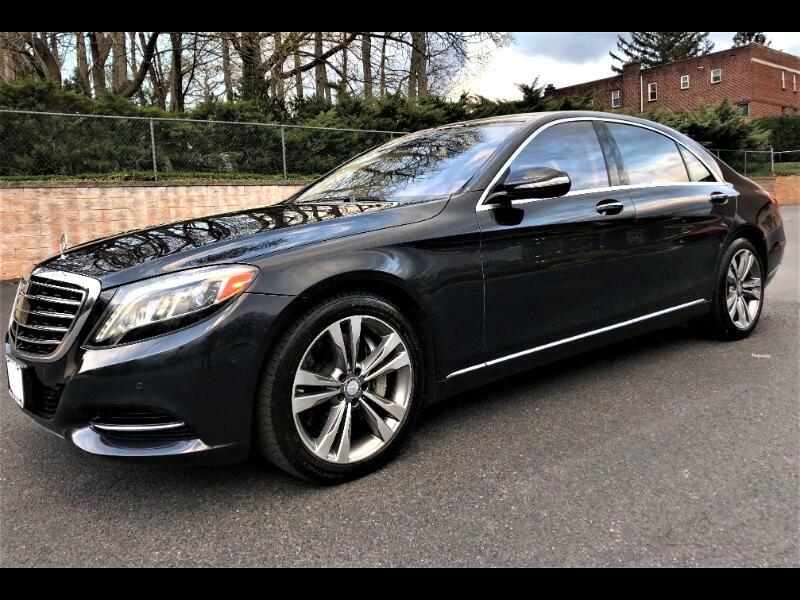 NO HIDDEN FEES, REAL PRICES FOR CLEAN CARS WITH REAL PEOPLE...Prestigious and trailblazing 2015 Mercedes S550 4Matic. NO ACCIDENTS. Brand new tires and brakes just installed. Equipped with Ventilated front seats, PARKTRONIC with Active Parking Assist(self parallel parking),Active multicontour front seats with “hot stone” massage, Heated/Ventilated front and rear seats Adaptive Cruise Control, 360° Surround View Camera System(birds ye view to assist in parking), Burmester High-End 3D Surround Sound System, DVD, SD card, USB ports, Bluetooth audio streaming,18 and a 10GB in-dash Music Register, cabin atomizer, DISTRONIC PLUS® with Steering Assist, PRE-SAFE® Brake with Pedestrian Recognition, BAS® PLUS with Cross-Traffic Assist, PRE-SAFE PLUS rear-end collision protection, Active Blind Spot Assist, Active Lane Keeping Assist, Hands Free Lift gate, WiFi Hotspot, Rear power sunshade(windows and windshield) and more...Qualifies for full Bumper to Bumper warranty for an additional 5 years or until 120k miles. Great financing options available for all.